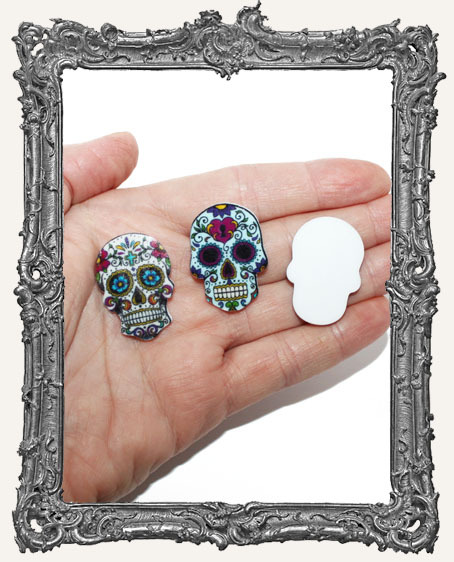 * You will get two cool sugar skulls. One white and one in either blue or purple, randomly picked. * Each measures approximately 1-7/8" tall x 7/8" wide x just under 1/8" thick. Excellent to use as embellishments on mixed media projects. You could also use them to make jewelry or magnets! * Each measures approximately 1" long x 1/2" wide. * Find more in the Dia De Los Muertos section here.